Producing music is hard work – and even when it’s a daily routine, it can be easy to forget important techniques and elements that make a song a real winner. Today we’re rounding up a few lessons from a powerful discussion on Reddit, with some incredibly useful tips for avoiding overlooking key production techniques. Music production is one giant rabbit hole, with so many facets that it becomes nearly impossible to keep track of everything when making a track. That is why having friends listen to tracks, collaborating, and even testing a track on a club’s sound system helps producers find aspects that were overlooked during the first production sessions. A recent discussion in the /r/edmproduction discussed some important aspects that music producers commonly overlook. The whole thread is worth sifting through, but we’ve collected a handful of key tips that producers should think about next time they’re in the studio. Comment from discussion Oliie’s comment from discussion "Important Production Aspects That Get Overlooked". Loops are great for sampling and ideas however it is going to take a lot of trial and error to find the perfect loop that fits the already written bass or synth line.The alternative is to get in the habit of creating percussion loops. This practice gives the percussion section the same groove as the rest of the track and expands a producer’s ability to create rhythmic patterns. Notice how the pattern, if sequenced straight with a DAW, is just a bunch on 16th notes. Everything at 100% velocity would leave the drum pattern sounding like a machine gun stutter. However, a variance and accents on the one (this varies on the type of hit) give the pattern life through rhythm. Comment from discussion KLN_PRKR’s comment from discussion "Important Production Aspects That Get Overlooked". Blooming producers have a lot to learn when it comes to music production and one of the most overlooked aspects discussed among producers is song arrangement. There are of course issues with standardized arrangements being used in every single track under the sun, but it is crucial to understand typical arrangements and why they work so well. For example, dance music’s most common song structure is a four to the floor beat filled within an intro, chorus, verse, chorus, bridge, chorus, and outro. These arrangements are outlines for blooming producers and the best way to learn the outline is by referring to a track from a more established producer. A technique that is recommended often is taking a track and dropping it into a DAW. Slice the track into different sections (intro, verse, chorus, etc.) and name each section appropriately. Then, build a track following that arrangement. Once the arrangement is dialed in, then feel free to innovate within. Author’s Note: There’s a lot of room for debate here re:arrangement, discuss more in the comments about creativity, style, and standard sounds. As Claude Debussy once said, “Music is the space between the notes.” While some producers struggle with making their tracks sound “full” (more on this later) there is the other end of the spectrum full of producers with tracks that sound cluttered or lack the tension and release that make a track into a beast. All great tracks, ambient or powerful, play with space. This comes into play as space between instruments, space between FXs, and space between two parts of a track. Comment from discussion The_Real_dubbedbass’s comment from discussion "Important Production Aspects That Get Overlooked". Comment from discussion Aurelleah’s comment from discussion "Important Production Aspects That Get Overlooked". A catchy song is commonly defined by the melody. It may be hard for the average DJ to admit they can hum the melody to Levels, but chances are they can because the melody is repetitive (grabs the audience’s attention) and interestingly varied (keeps them interested / attentive). Along the same lines, it is important to make the distinction that pleasure listening music and club music vary when it comes to melodies. Whereas pleasure listening music has interesting, complex melodies, club music melodies may be as simple as two bars of notes. Comment from discussion silentbutturnt’s comment from discussion "Important Production Aspects That Get Overlooked". Music is dependent on rhythm and groove which can’t always be replicated naturally by a DAW. The liveliness of a track comes from the human touch producers give to tracks which can be done through a multitude of ways. Automation is the key to making a track seem “fast-paced” while also keeping everything exciting. Playing percussion patterns can turn a stale loop into a funky one. This also will help build a producer’s understanding of rhythm. Melodies also can be humanized by playing notes almost on beat. The best way to get a good melody loop is by recording a producer playing the melody over and over again. Then go back and find the best version that sounds natural, but also is in-time with the rest of the track. Sound design is a gnarly beast to conquer for a young producer however it is not all auditory science. 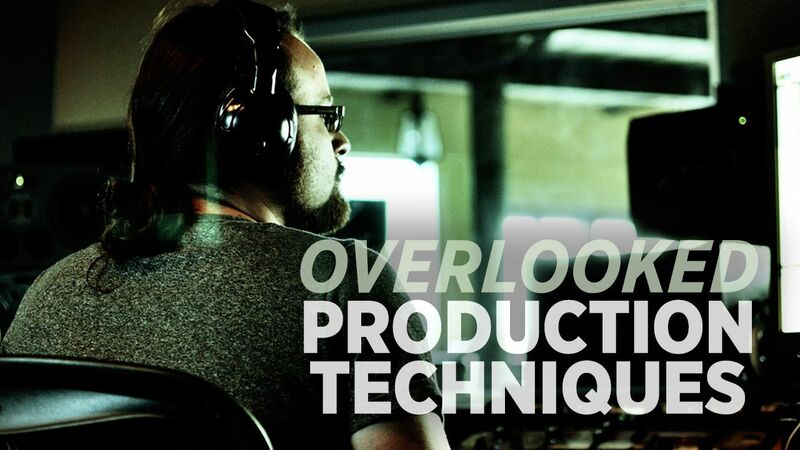 There are a few tricks to incorporate that can make a track sound even better. There’s a lot to remember when it comes time to make a track in the studio. While we highlighted some of the important aspects that are overlooked when producing music there is still a lot to take into consideration such as FX (use them! ), frequency competitions, and the importance of polarization. A producer won’t catch everything, but excelling with a handful of tools will compensate for any short comings. What are some important aspects of production that you find producers overlook? Let us know in the comments!